præsta, quæsumus, ut per eius Genitricem Virginem Mariam, perpetuæ capiamus gaudia vitæ. O God, who through the resurrection of your Son Jesus Christ gave rejoicing to the world, grant, we pray, that through his Mother, the Virgin Mary, we may obtain the joys of everlasting life. Through Christ our Lord. Amen. 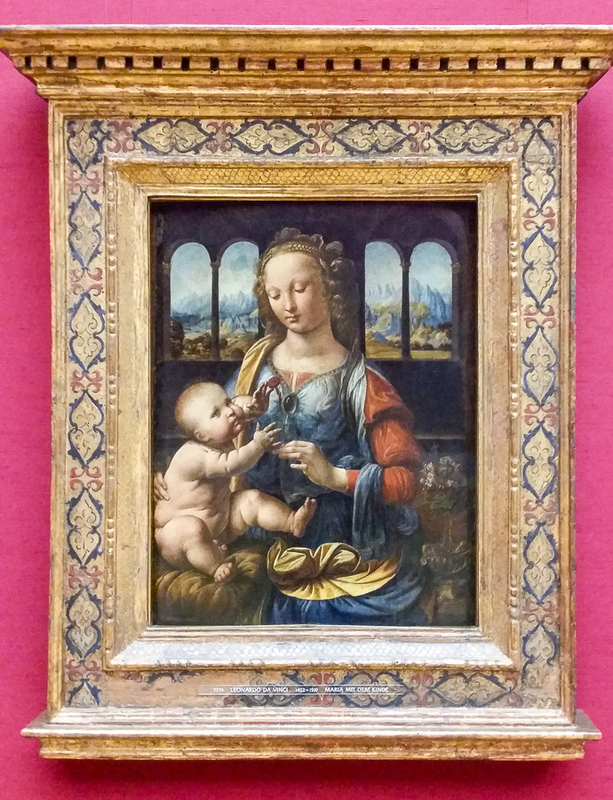 Da Vinci’s Virgin and Child, or, Madonna of the Carnation, from the Alte Pinakothek in Munich. This entry was posted in Beauty, Easter and tagged DaVinci, Mary, Pentecost, Regina Caeli on May 14, 2016 by frjfkauffmann.